When your computers and company’s IT systems are involved, you want only the best and most qualified New Jersey movers to handle the job. Serving central and south NJ as well as the greater Philadelphia area, the movers at Simonik Transportation & Warehousing have the skills to move your high-valued computers, electronics and complete Information Technology systems. Our IT & electronics moving company understands the bulky and fragile nature of these delicate items and will take the extra precautions necessary to make sure your items are relocated safely and efficiently. Since 1977, our full-service moving and storage company has helped relocate computers, servers, industrial printers, and other IT equipment for office relocations around the country and the world. When you work with our electronics movers, you can be sure your screens stay protected, wires remain organized, and all your heavy items custom crated and arriving in the same condition as we packed them. We work hard to meet the growing demands of our clients, offering short and long-term storage, a variety of benefits, and personalized service with our move coordinators. If you or your company is in need of transportation for your computers, IT systems, and servers, you can depend on our electronics moving company to help. 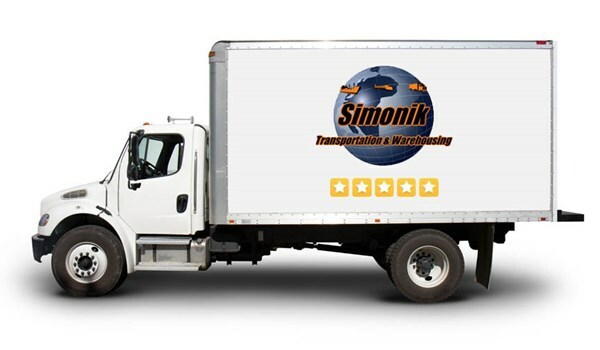 Simonik has long been the premier New Jersey moving company with the capabilities, network, and equipment to handle all your relocation needs anywhere in the world. Call us to speak with a moving specialist or fill out our online form for a free estimate!